With numerous award winning credits to her name, Lisa Duff's career spans over 15 years. She was producer of the critically acclaimed documentary Sexing the Label, an insight into gender labelling in Sydney's queer community. It received awards at both the Film De Femme in France and the Columbus Film Festival in Chicago and was released theatrically in Australia. 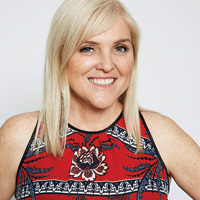 Lisa has also produced a number of dramas and documentaries with Indigenous Directors including drama Road for Australian broadcaster SBS and Leah Purcell's short drama Aunty Maggie & The Womba Wakgun for the ABC's series The New Black. She also produced Nin's Brother a documentary unravelling a family mystery and the repatriation of the remains of a Wiradjuri man shot by police in South Australia in 1960. Lisa's documentary credits also include The Future Makers for Discovery Channel which featured Australians leading the way in the international sustainable energy arena. Her feature film credits include producer of the Last Train to Freo with Greg Duffy and Sue Taylor and feature film Last Cab to Darwin starring Michael Caton and the Academy Award nominated Jacki Weaver. Lisa was also the producer of Unindian, the first feature film financed by the Australia India Film Fund, starring Brett Lee and Tannishtha Chatterjee.